From the bookseller’s perspective, Hispanic Heritage Month, like all cultural observances, is a reminder to read and recommend beyond the limits of our individual experiences and knowledge. One of the reasons we love reading, have committed to it professionally, is because books offer a virtual invitation into someone else’s heart, history, and mind. And while there’s no shortage of hearts, histories, or minds on display in 2018 America, the emphases tend to be on exhibitionism and voyeurism, rather than on the kind of empathy engendered by walking in someone else’s shoes, if only in your imagination. 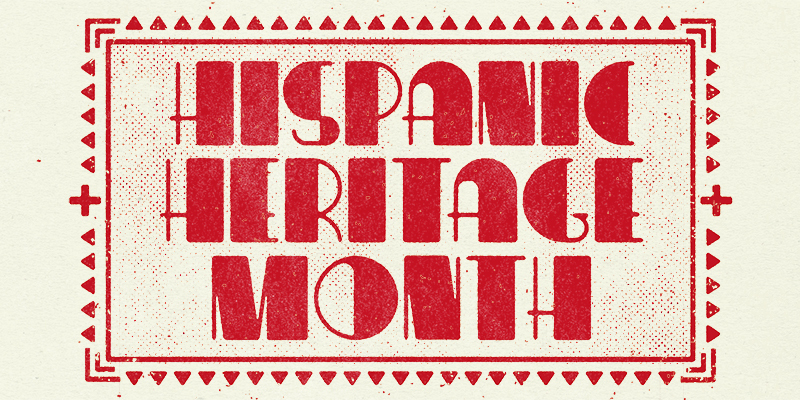 For this year’s Hispanic Heritage Month, we’ve chosen to focus on narratives, fiction and nonfiction, that speak to the tense present moment in Hispanic and Lantinx American history. These are some of the books we’ve turned to in recent months for a better understanding of how, collectively, we’ve gotten to this point, and what our nation stands to lose when it overlooks, at best, and negates, at worst, the rich heritage, accomplishments, and contributions of our Hispanic and Latinx communities. This brief, very intense coming-of-age novel is written from the perspective of a young boy, growing up in a wild, multicultural family wracked by love, instability, and poverty. The writing is strikingly disciplined, and the central tension — the binding, forever “us” of family versus the necessary pull of “I” — is beautifully laid out and relatable. Another coming-of-age narrative, more standard than the Torres but no less evocative or important, When I was Puerto Rican explores Santiago’s childhood in Puerto Rico and her difficult transition to life in Manhattan. Santiago’s self-questioning about race and national belonging feels more relevant than ever in the aftermath of Hurricane Maria. An incredible young adult novel written in verse, The Poet X follows its Afro-Latina heroine, Xiomara Batista, as she navigates the tricky terrain of parental expectations, religion, cross-cultural love, and most wonderfully, slam poetry. The combination of brave, authentic verse and a gripping storyline make Acevedo’s debut compulsively readable. Author Sandra Cisneros says it best: “There is a line dividing what we know and do not know. Some see the world from one shore and some from the other. Cantú brings the two together to a spiritual whole.” Cantú interrogates his experiences as a Border Control agent with sensitivity, pathos, and thoughtfulness in this riveting memoir. Another staff favorite, the core of this novel is the star-crossed love story of Maribel Rivera, a beautiful but horribly injured teen who immigrates to the U.S. from Mexico to seek treatment, and the son of her new neighbors. The love story is deeply satisfying, but what elevates The Book of Unknown Americans is the way Henríquez incorporates the stories and testimonies of the national community of immigrants from Latin America. It’s a hopeful, sad, tender, and evocative portrait of immigration and belonging. Rodriguez wrote this now-classic autobiography about life in LA street gangs in an attempt to persuade his son to disengage with gang life. Kirkus called it “a fiery portrait of youth caught in a dead-end system [that] lingers in the memory,” and its exploration of the roles schools, police, and communities play in perpetuating youth violence remain sobering and relevant. You may have heard Martinez read excerpts from this marvelous memoir about machismo, assimilation, and family in South Texas on This American Life. Martinez’s tone is often slyly humorous, which blunts but never obscures the brutality and suffering that comprised much of his childhood. The result is a memoir of unusual emotional honesty: the hard work of turning difficulties into growth experiences (and art) is evident, as is the skill with which Martinez manages to do so. A recent addition to Latinx American scholarship, Ortiz places African American and Latinx struggles for political and labor rights front and center in this paradigm-shifting history of the United States. Both radical and reasonable, An African American and Latinx History is a bracing and necessary corrective to the white-washed American history most of us learn in school. Some books just make you happy, and Cool Salsa, a joyful collection of poetry for young adults by a pantheon of great writers of Latin American heritage (Sandra Cisneros, Gary Soto, Ana Castillo, Oscar Hijelos…) does that and more. The poems explore the sounds and rhythms of both English and Spanish, and capture the diverse experiences of Latinx youth in America. Our America corrects the dominant narrative of American history as starting with the English settlement of the east coast and moving westward. With meticulous detail and deft management of the complicated territorial conflicts and maneuvers of Spain, Mexico, and the United States, Fernández-Armesto builds the argument that modern America is equally the result of Spanish colonialism, and could be legitimately reconceived (maybe reborn) as a Latin American global power. Though demographics have changed since this book first came out in the early 2000s, Tobar’s excellent, wide-ranging investigation of the Spanish-speaking United States, and the way Hispanic and Latinx communities are redefining both the general immigration experience and American identity, holds up; if anything, the intervening 12 years have made reading this book more important. Beast Meridian is the difficult but intoxicating debut poetry collection from Villareal, a first-generation American of Mexican descent. She was born in the Rio Grande Valley borderlands, and a vision of the borderlands as a paradoxical space of identity and unbelonging dominates the collection. The poems repeatedly perform witness both to the interior life of the speaker and the frequently harsh lives of immigrants and people of color, and Villareal’s innovative use of form and voluptuous language make this a collection you’ll want to continually revisit. One Response to "National Hispanic Heritage Month"
Are you planning on releasing a Children's list for Hispanic Heritage month? I would love to see one!